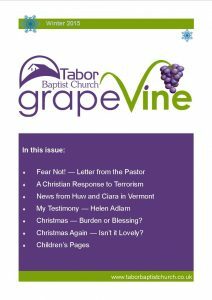 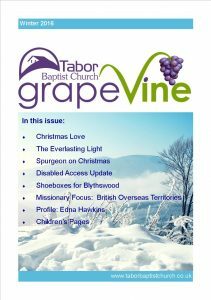 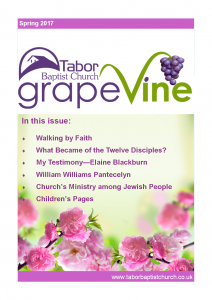 Grapevine is the name of Tabor’s in-house magazine. 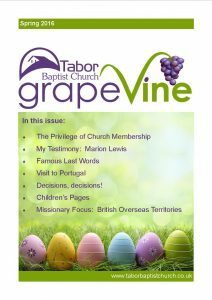 It is published periodically using contributions from the congregation and external authors. Previous editions are shown below – click each item to read.